This entry was posted in Beef, Messages from the Carnivore and tagged Beef, carry over cooking, Digital thermometer, internal temperature, Medium Rare, Residual cooking, Steak. Bookmark the permalink. Sound advice Doug. Could you tell the brand of digital thermometer you use? Mahalo, TIA. As far as my thermometer goes … here’s a link to one I have. I like it … but I need a new one. Indeed, a literate write-up on an oft overlooked subject in the meaty arts. I agree tho with the business of carry over cooking. It happens. I many times utilize this fact of life with pork shoulders, plunking them in a cooler for a couple of hours to rest and finish cooking there. Thanks Doug. This is a fantastic explanation. Stefan, of Stefan Gourmet blog gave me a digital thermometer last year. It is a great friend when roasting meat or poultry. 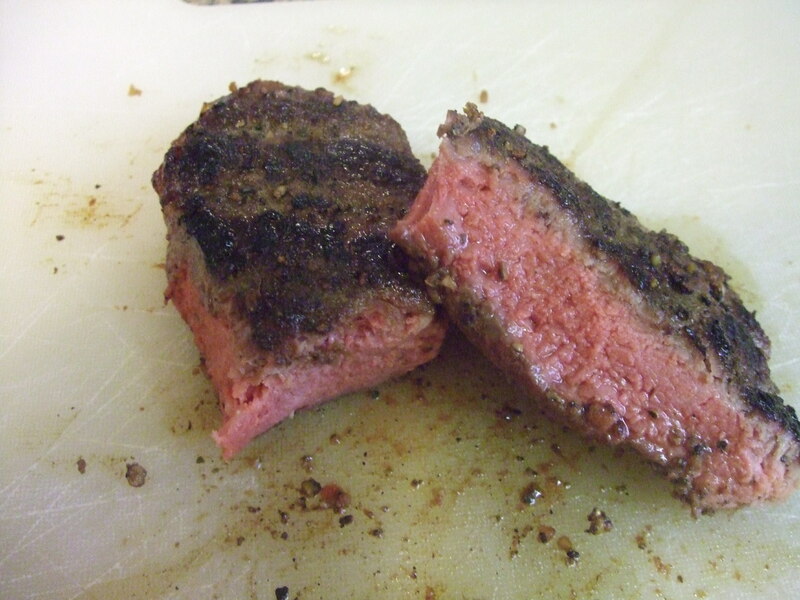 I cooked a big thick steak (3″ thick) recently and I took the meat out of the oven 7º before the desired temperature. It finished itself exactly. I was very pleased to have got it right. Bringing your meat slowly back during the ‘resting’ stage is sort of like removing your foot from the gas, and very gently applying the brakes. Dear CC, Your timing couldn’t have been more, uh, timely. I have a question about searing backstraps and tenderloins before placing them in the oven to “finish them off”. I always sear the venison/wild pork/elk/nilgai backstraps and/or tenderloins in my trusty cast iron skillet before sticking the whole thing in the oven for about 10 minutes. My question is “Do I need to remove the meat from the cast iron to let it rest on a cutting board? I’ve been reluctant to remove the meat from the skillet for fear of releasing the juices held in by the delicious seared crust. YES !!! 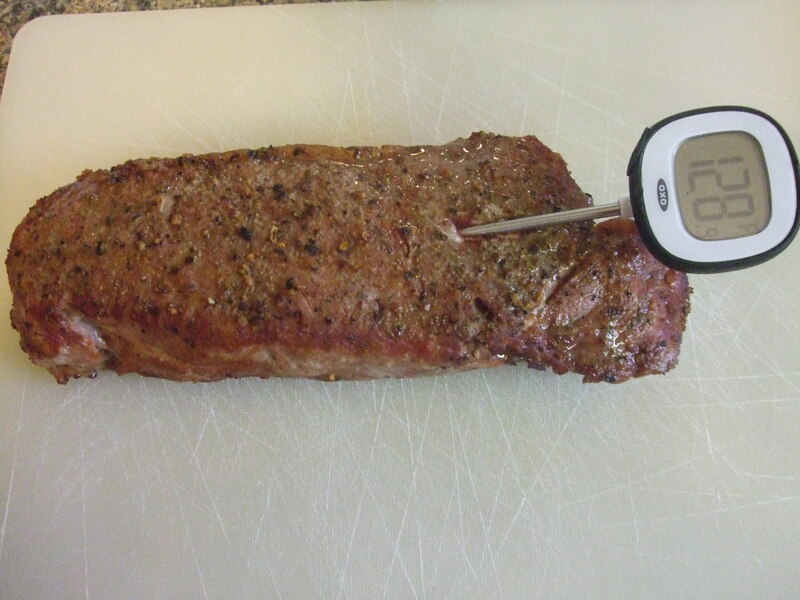 REMOVE TO A ‘NEUTRAL’ surface … but the key is to use a digital thermometer so that you can “play around” with what works for you, temp/doneness wise. Very useful tip -about the temperature! Thanks for sharing!